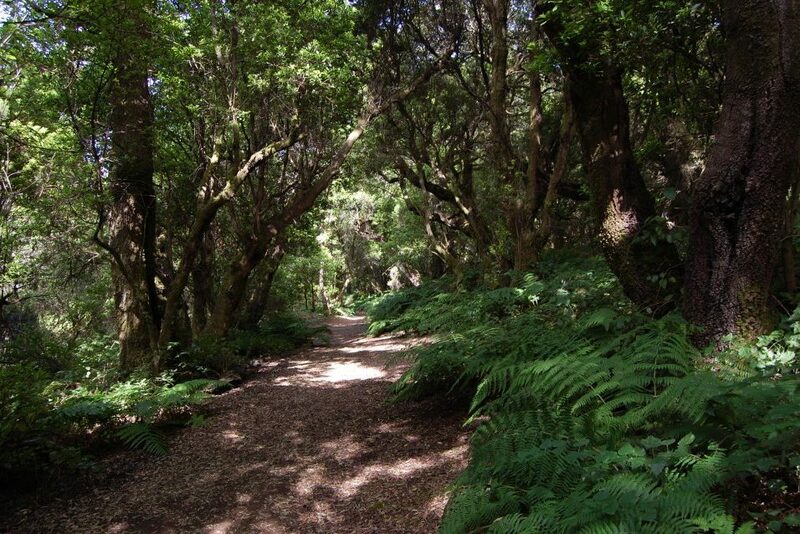 In 2000, El Hierro was declared a UNESCO World Biosphere Reserve. This means that certain types of property speculation and building are discouraged. We strongly respect and agree with the island’s local government who wish to enforce this in order to avoid the environmental mistakes which tourism has incurred on neighbouring islands. There is no other place amongst the Canary Islands which is as aware of the delicate balance between tourism, the environment and local culture. 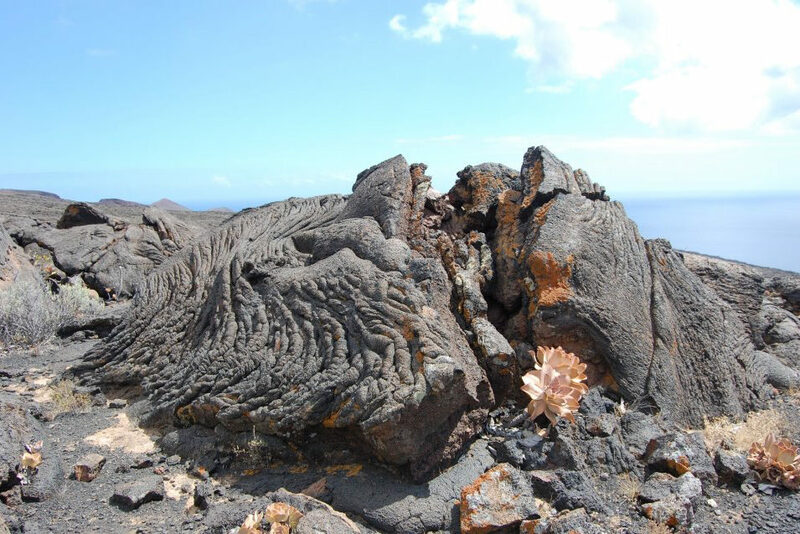 El Hierro is the smallest of the Canary Islands, with a maximum elevation of 1,504 metres, covering 278 square kilometres and has around 7,000 inhabitants and is well on its way to being the first island in the world to source its energy from 100% renewables. 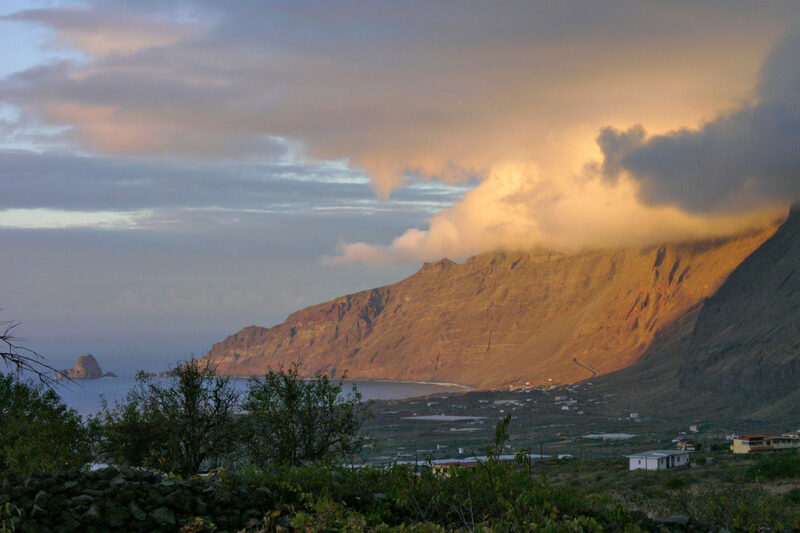 For many years El Hierro has been the well kept secret of musicians, artists, scientists and freethinkers who away from normal constraints can disconnect and recharge their creativity. Nowadays more than half of the island consists of Natural Parks and specially protected areas. 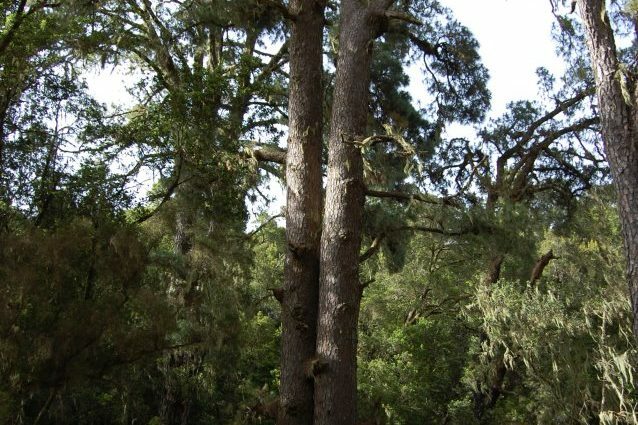 Crossing the island, you will be fascinated by the wide variety of vegetation, extensive stretches of lava, with one of the biggest pine forests of the Canaries towering the island. The highest peak – the Malpaso (1504 m) steeply drops towards the „Valle del Golfo“ extending at its’ feet. 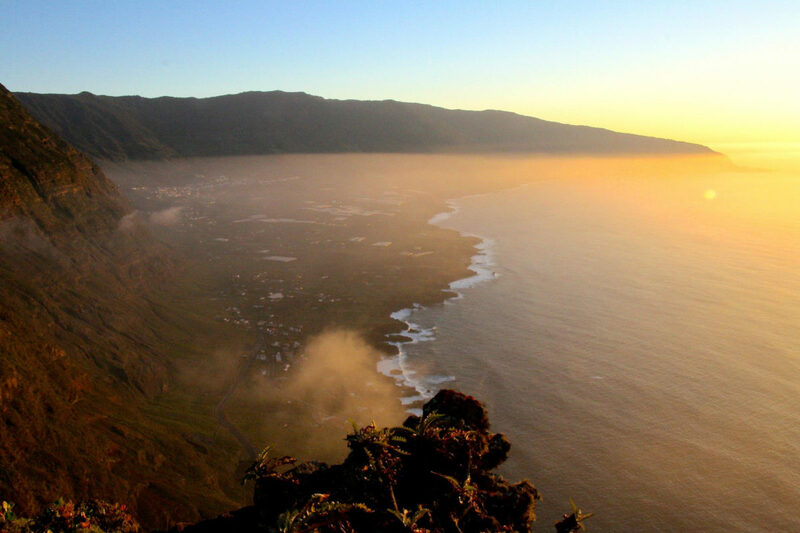 Formed by a series of volcanic eruptions 2 – 3 million years ago, El Hierro is geographically the youngest of the Canary Islands. Thanks to the prevalent winds, the island enjoys a gentle climate with temperatures barely falling under 17ºC in winter, and scarcely exceeding 24ºC in summer. That’s why the Canary Islands are also known as the "Islands of eternal spring". The probability of rain is greatest between november and march. The majority of the most beautiful landscapes are approachable by foot only, but this is a journey of intense aromas, incredible views and age old iconic Sabina Trees bowing to the Atlantic. Above El Sitio, the ancient trail to the „Mirador de Jinama“ is winding up to a beautiful vantage point of the Golfo valley at 1230 m (Hiking duration approx. 3 hours, appropriate footwear recommended). 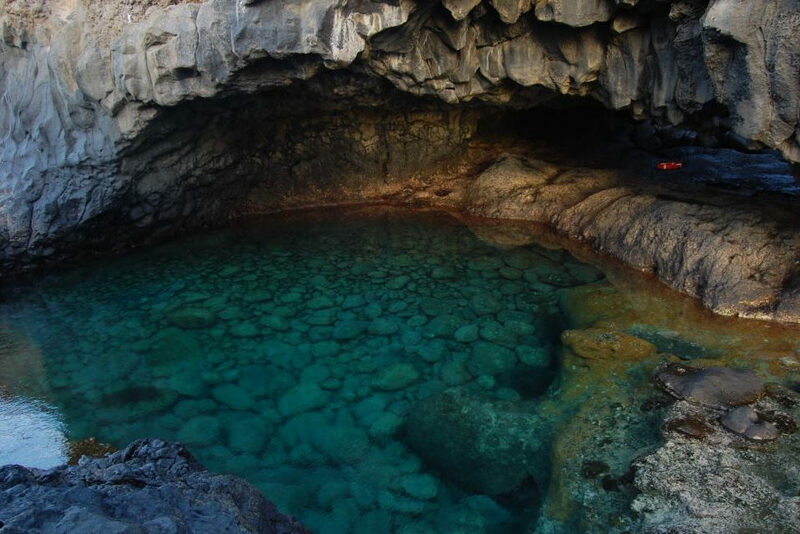 If you wish to explore El Hierro from underwater, La Restinga a fishing village located on the southern end of the island is the ideal place. It is home to most of the fishing boats and a variety of diving schools. 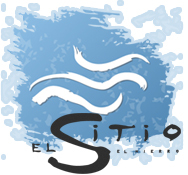 The waters of La Restinga are perfect for deep sea diving in the „Mar de Las Calmas Marine Reserve“. Protected from the prevailing north-easterly winds, the „Mar de Las Calmas“ extends south-east of the island. Divers from all over the world are fascinated by the most breathtaking underwater sceneries, an incredibly diverse underwater ecosystem, that will captivate you with crystal-clear waters in avolcanic setting. Round the island you have plenty of possibilities to swim in the open ocean – Tacorón, in summer Punta Grande, La Caleta or Tamaduste to name some. On top of that, you will findcaptivating natural pools which seem to be made by humans. This year in September, the Herreños will celebrate for the 4th consecutive year a very special and adventurous event – the „Travesía Mar de las Calmas“. Starting from La RestingaIn 4 distances (2.5 km, 6.5 km, 12 km, 18 km), hundreds of people from all over the world swim through the Mar de las Calmas, the toughest arriving at the „Faro de Orchilla“ after 18km – the old Zero Meridian where once people believed the world ended. If you would like to tour the island you will have to hire a car, unless you are up to riding a mountain bike, which can be hired in El Golfo. Alongside public transport there is also a taxi cooperative in La Frontera where it is possible to book your own trips. The hermitage of The Virgin of the Kings, a place of pilgrimage in the solitude of La Dehesa landscape. The endearingly reconstructed village-museum of Guinea, found along the straight road that leads to El Golfo, showing how life was for El Hierro people 100 years ago. Nearby you can also visit the scientific station for the breeding of giant lizards (measuring up to 80cms in length). These lizards are native to El Hierro and are in danger of extinction. Since 1996 the Lizard House project is responsible for the gradual repopulation of these lizards. Punta Grande is a small promontory on the east of the Punta Grande beach where in times gone by the mail boat use to dock. Here you can enjoy the most stunning sunsets on the island.